Jay is an extremely pleasant and engaging young man; he clearly has an inner drive and determination to succeed. He has made positive contributions within lessons and within the wider school community. It is delightful to see him taking pride in his achievements and setting such a positive personal example to his peers. I have no doubt that Jay has all the qualities needed to succeed in his future academic studies and beyond. Danny is a pupil that shows amazing resilience and perseverance thus ensuring he overcomes challenges and obstacles to achieve his goals. He has become an independent and hardworking pupil and has recently surpassed his target in his coursework subject. A very determined and diligent young man who is a great example to his peers. Hollie is an outstanding pupil and clearly has the respect of every member of staff who have met or taught her. She is an independent, hardworking, conscientious and courteous young lady. Her work ethic and drive to succeed is superb and she actively seeks out opportunities to learn. A shining example to all her peers. Harvey is a polite, unassuming and conscientious young man who is making the most of additional learning opportunities offered to him. He has been nominated, and seconded, by several members of staff; he consistently goes over and above what is asked of him and he is independently seeking ways to improve his grades. His exceptional attendance and behaviour record show he is mature and ready for the next stage in his academic career. I nominated Harvey because he is always in the Computer Science/Maths department after school, looking for ways to improve his grades. If you ask Harvey to do something he will and will often do more and put more effort in than you have asked for. Isobel Is an outstanding, high achieving representative of the Academy: she is a diligent, driven and charming young lady. Several staff have continually nominated her for Star of the Week - demonstrating that she continually, and meticulously, applies herself to her studies. I have no doubt that Isobel will achieve outstanding results in all her GCSEs. Alex is clearly a resilient, hardworking young man who has the determination to overcome challenges and ensure that he achieves his aims. His 100% attendance shows that he wants to ensure that he is here every day to use every opportunity to learn – he is clearly using lesson 6 opportunities to revisit topics and strengthen his knowledge – this will ensure that Alex achieves the best grades possible both his PPEs and the summer final exams. Congratulations Alex. 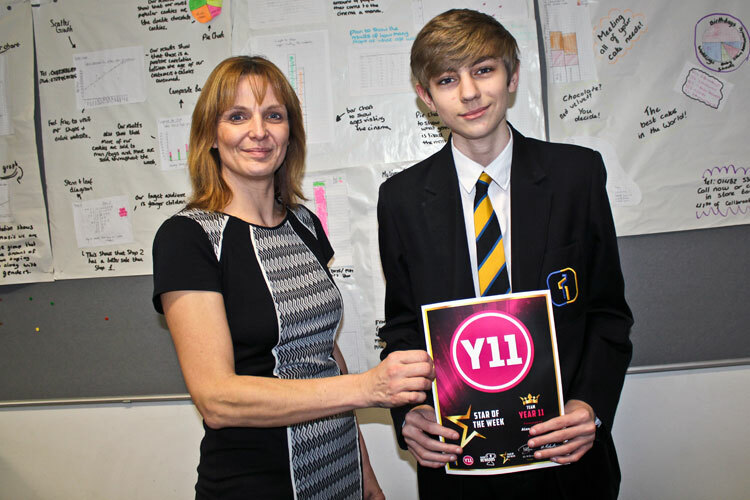 Alex has been making a determined effort to master the maths skills required for success at GCSE – particularly during tutor time and L6 activities. Jack is an unassuming, mature and dependable pupil who has been nominated most weeks since the start of term. Once again he is proof that attendance matters: he has a 100% record across the 5 years he has been here. Furthermore, he has achieved a tremendous amount of achievement points for his House team (Wawne) and has a spotless behaviour record. He thoroughly deserves this recognition. Mrs Ash nominated Jack for continually working hard, focusing and completing additional work in English and Mr Styles nominated Jack for increased awareness of speaking test requirements. 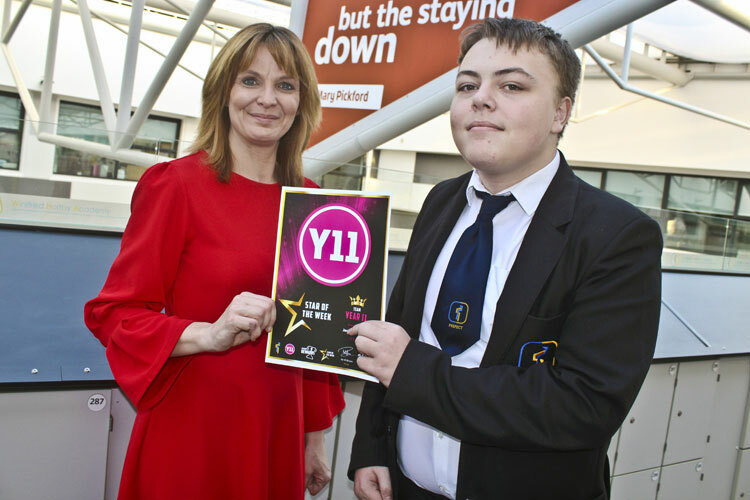 William is an outstanding young man who fully deserves to be recognised for his achievements at the Academy. His attendance for all 5 years has been 100% and he also has a 5 year blemish free record for his attitude and behaviour: he is an impeccable example to his peers. Every week pupils with the highest achievement points from their respective Houses have been awarded Star of the Week. Every term pupils who have won star of the week are entered into a prize draw to win cinema vouchers. Congratulations to these three pupils who were presented with two pairs of cinema vouchers each by Miss Mennell. Well done to all winners of Stars of the Week, you are a credit to our Academy, keep up the excellent work and Star of the Week will return in the New Year! A resilient and charming young person Sharice is a polite, unassuming, hardworking individual. She is tenacious in her studies and perseveres – even when she finds the work challenging. 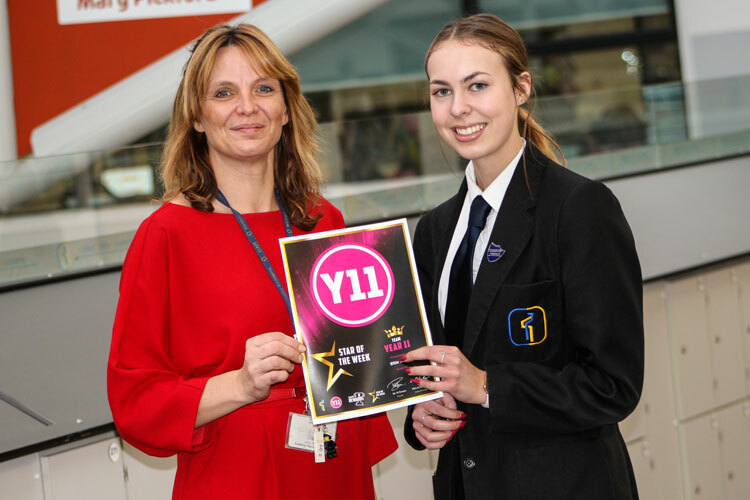 Ellie is a positive and influential role model to her peers: 100% attendance and a mature, positive and independent attitude to her studies. Mr Gent nominated Ellie and said "Great attitude, focussed and committed student who, even more importantly, has a positive effect by bringing other pupils back to lesson 6’S who otherwise wouldn’t attend." 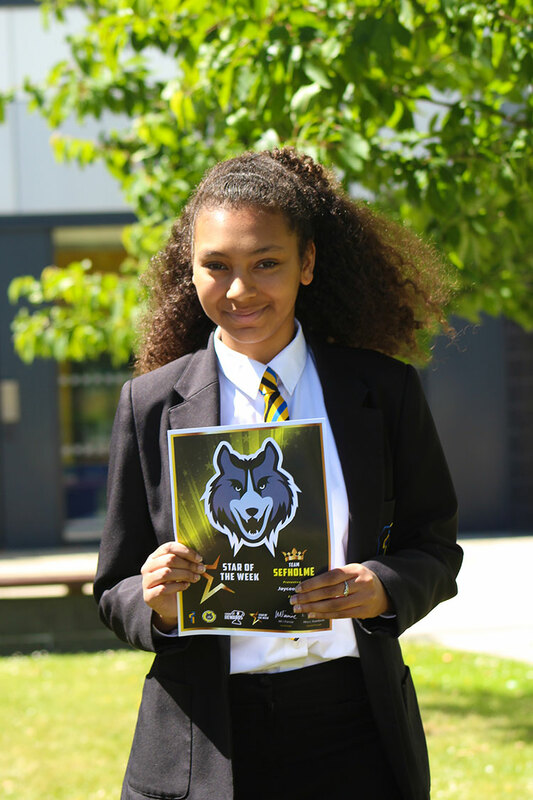 Mia is an independent, hardworking pupil who has a strong level of determination and resilience: she strives to be the best she can be. A superb example to her peers. Several staff nominated Mia demonstrating that Mia is a consistently hardworking pupil. 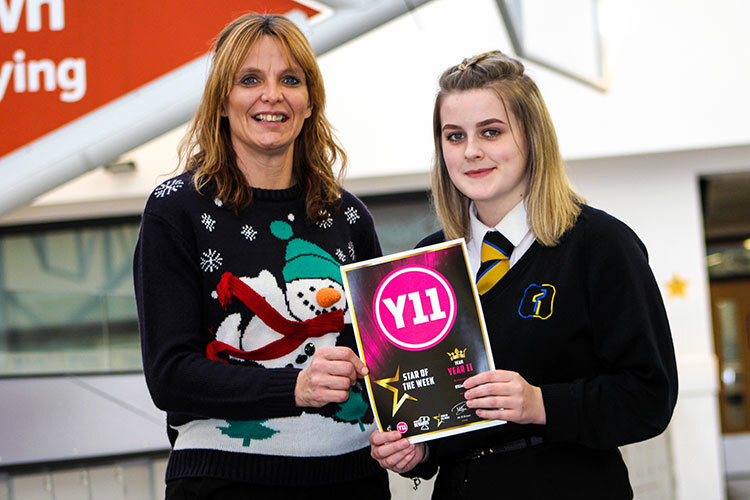 Caitlin is top of our leader board for achievement in year 11 and has made outstanding progress since year 7. She is driven to succeed, ensures that she is here 100% of the time and puts in maximum effort – making her an exemplary pupil. 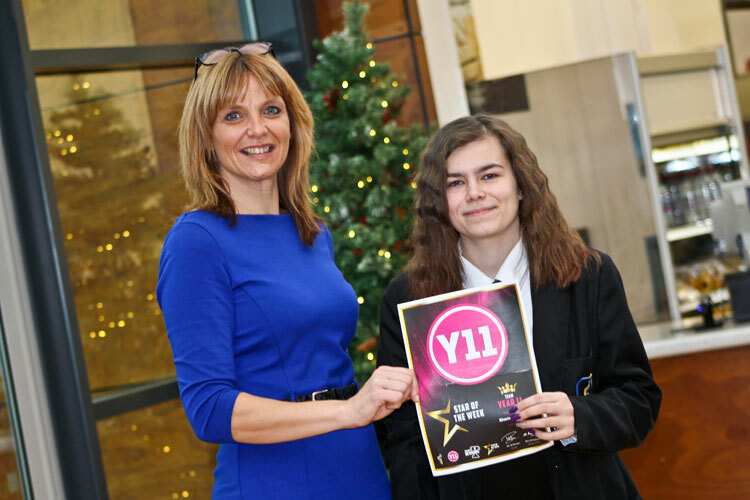 Her positive attitude to learning, both in lessons and independently, has seen her results climb; this will see her exceed her targets now and in her future studies. Congratulations to the following pupils who have won Star of the Week last week. These pupils have had the most Achievement points in their House last week. 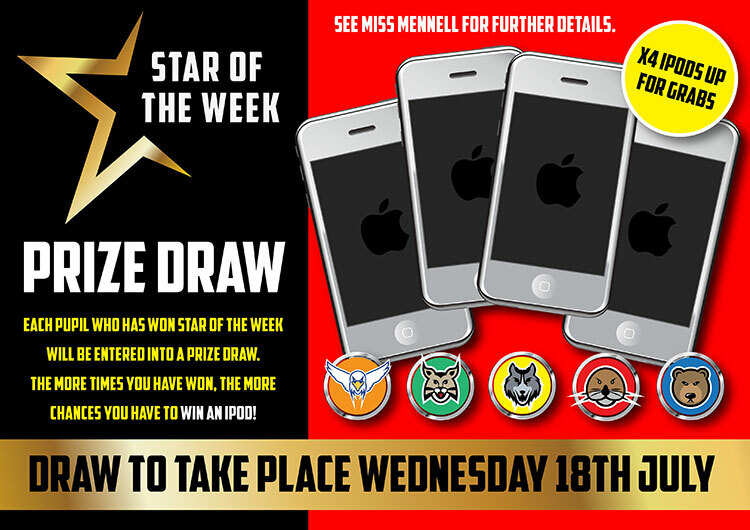 A special prize will take place on Wednesday 18th July for all Star of the Week winners to have a chance of winning an ipod. We have 4 of them to giveaway. The more times you have won, the more chances you have to win. Stars of the Week have been announced, congratulations to the following pupils who have won their award this week. A special prize draw for all Star of the Week winners to have a chance of winning an ipod will be announced after half term. We have 4 of them to giveaway. More details coming soon. Enjoy the half term, you all deserve the break. After the half term break we will be announcing a special prize draw for all Star of the Week winners to have a chance of winning. Who will be the Star of the Week in your House next week? It could be you! Our House point Stars of the Week have been announced this morning.